Learn about the upcoming instalment with our news roundup, constructed from information coming from a variety of sources. ​Take control of your destiny and write your own epic odyssey as you journey to become a legendary Spartan hero. Live incredible adventures in a world where every choice matters. Rejected by your family, you must embark on an adventure form outcast mercenary to legendary Spartan hero to uncover the truth about your past. It releases on October 5th 2018! It has the biggest map ever introduced to the franchise. 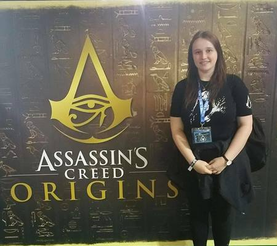 ​There are two playable characters: Kassandra and Alexios. They have the same story, depending on who you choose. 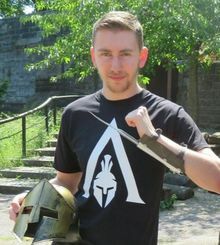 Both characters come from a Spartan background, and both were raised as a warrior from a young age. There is a tragedy that rips the whole family apart, and we then resume with the character 17 years later on the island of Kefalonia, where they train themselves to be a mercenary. This is the first Assassin's Creed game to have an interactive diaologue system. Historial events will still pan out the way they are recorded in history, but the choices you make do impact upon the game. It also determines how your character interacts with the world around them.There's a contract they accept which opens up the whole world. Both Alexios and Kassandra are descendants of the First Civ Bloodline. The Present Day continues with Layla's story, who is on the search for First Civilisation Knowledge and Artefacts. Some of the developers and historians working on the game went to Greece in order to research the setting. Naval combat returns in Odyssey, and is a very important part of the game for exploration. 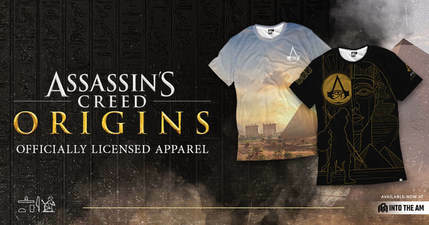 The combat system improves upon the foundations of AC Origins. Gear is now customisable and upgradeable, with a variety of new abilities which greatly differ how you approach the combat system. There are multiple endings available in the game, depending on choices made. The enemy faction are "The Cult of Kosmos", who wear masks similar to The Order of Ancients. 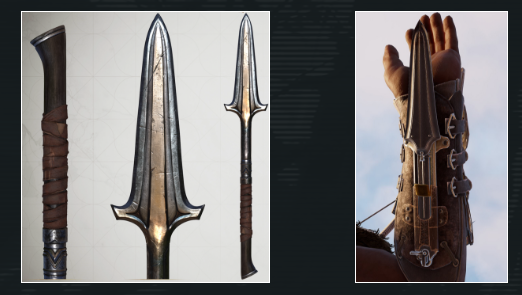 Access the Animus note a similarity between the new Spear Blade, and the First Hidden Blade, although no confirmation is given.